I am so sorry but - as some of you who follow me on Twitter may already know - I had some major computer crash this past week that really put me behind on some work, so I have been spending most of the time these past few days setting up my laptop for work (with all the compatibility issues) and catching up on projects. I know this is the second week without a new BB page but sometime real life (and freaking technology) gets in the way of the fun. Hope you all will forgive me. To make up for the missing page, here's an absolute preview: the cover for Green Hornet Year One #3, from the initial pencil sketch to the rough color pass to the final inks (below) and final cover in color (above). Remember that KATO teaser I posted a few weeks ago? I will be providing the main covers for the KATO ORIGINS mini "WAY OF THE NINJA". This mini is a spinoff of Matt Wagner's "GREEN HORNET YEAR ONE" ongoing, even if it's written and drawn by a different creative team (Jai Nitz and Colton Worley). Green Hornet Year One #2 will be in stores in May so look for it in March's Previews. Can't wait to show some of the colors I have done on interiros of #1. Yep, a lil' late Kara Bocek page (blame it on the Superbowl of yesterday or, most likely, on a couple of work deadlines), but I hope it was worth the wait. 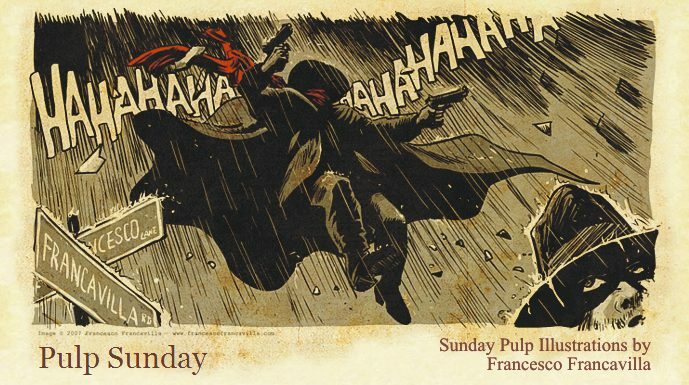 Hope you all had a wonderful Pulp Sunday yesterday!